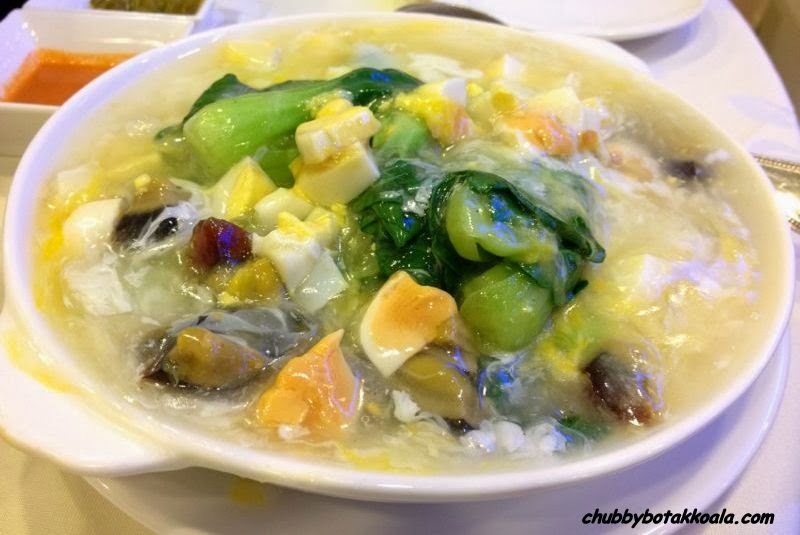 My first encounter with Ming Kee was through an introduction by old family friend Uncle E. At that time, we were missing the taste of Fried Mud Crab with Egg Noodle, Cantonese Restaurant style from our days in Melbourne - (our first food hunting ground). We instantly got 'hooked' on the crab beehoon here, and started to visit Ming Kee frequently until we were just sick of it and stopped going there for a few years. With a sudden craving for crabs beehoon beckons recently, we decided to visit our favourite restaurant. 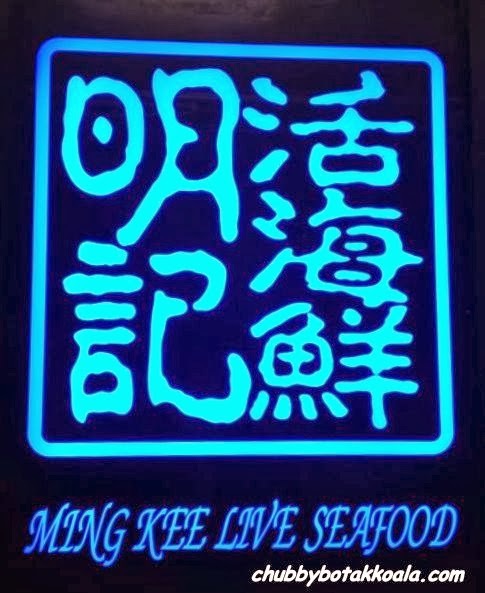 Before making a reservation, I discovered that there are two establishments with the same signboard of Ming Kee Live Seafood on the same road. I investigated further to check if both the restaurants are the same, and turned out that the Ming Kee owner have sold the older and bigger shop space and opt for a smaller establishment. Another food blogger SgFoodOnFoot, helps to point me to the right direction and made the right reservation. During the dinner, I have a chat with the restaurant manager, they say that they are trying to get the current owners of the old establishment to remove the signboard. Thus, if you are along Macpherson Road, the one opposite the Caltex petrol station is real Ming Kee. To our surprise, the boss is back in the kitchen and doing the cooking himself. Anyway, enough with the background lesson and lets direct our attention to the food. 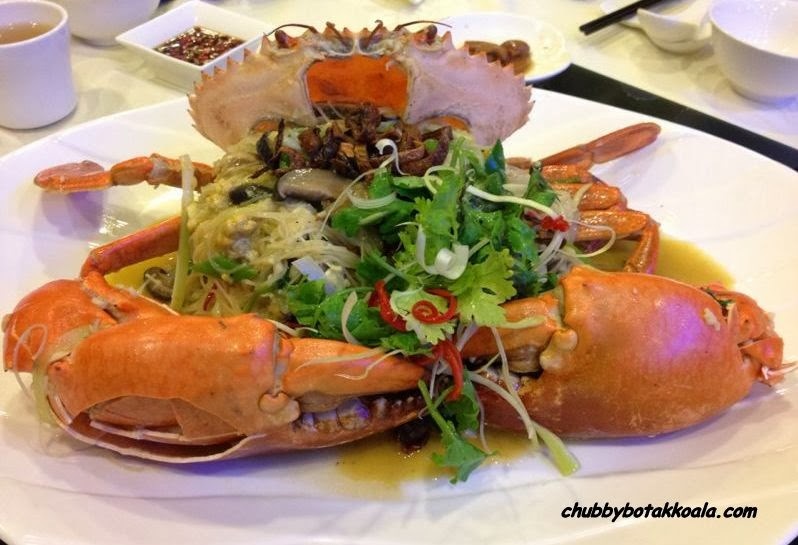 We started with the Triple Cook Bee Hoon Crab ($5 per 100 gram), which suppose to be the signature dish of Ming Kee. First slurp of the Bee Hoon, you can taste the solid stock used in cooking this dish. It is flavourful and robust. The crab is fresh and cooked nicely. The fried shallots and mushrooms on top added another texture to the dish. It is better than most restaurant that serve this dish, however seems to fall short of the old Ming Kee standard. There is something missing in the stock, lacking of the 'Omphh' factor. While we only reach the stage in devouring the crabs, the next dish of Home-made Bean Curd ($8) and Guinness Stout Short Ribs ($12) arrived. 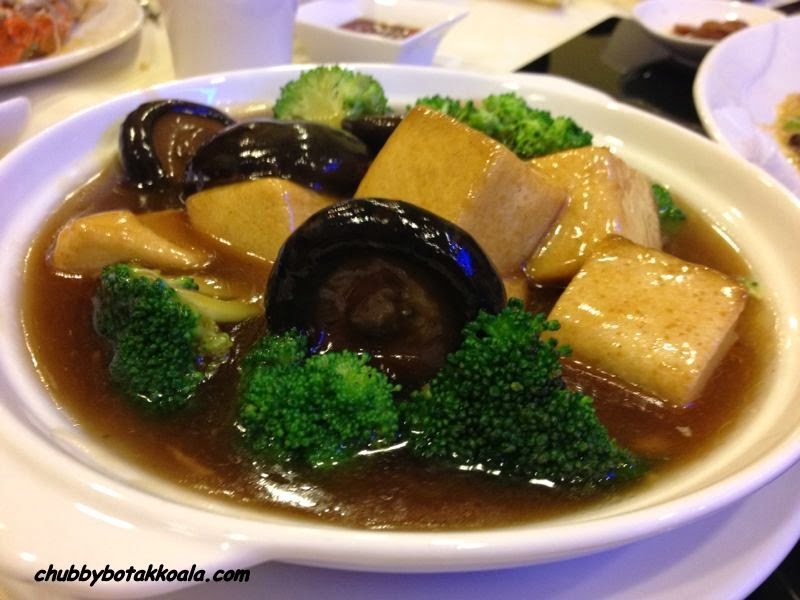 The homemade bean curd has a tender and smooth texture. The gravy is good and well absorb in the broccoli. Good to go with rice. 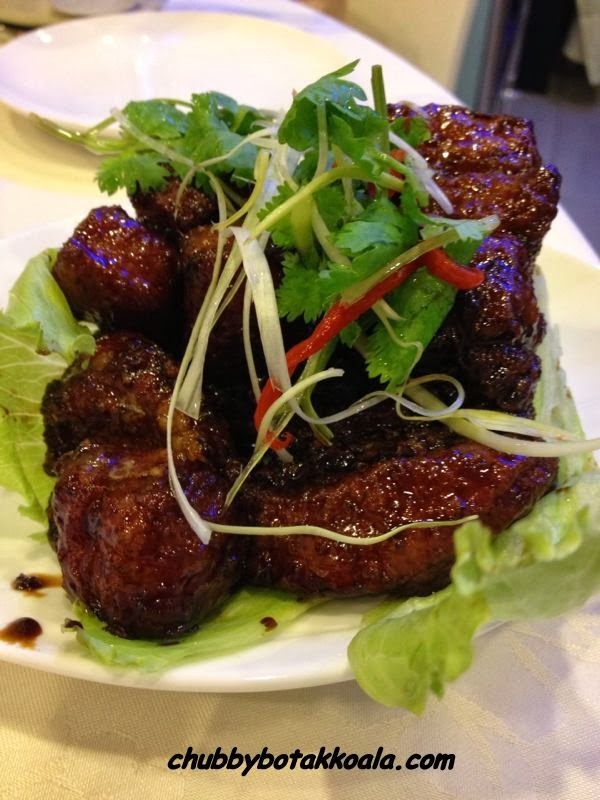 The short ribs are well seasoned and marinated. It is tender and sweet. The cutting of the meat are inconsistent, if you got the big piece, it can be slightly chewy. Something that they can look into. For another seafood dish, we had Mexico Pacific Clam with garlic and soy sauce. The clams are fresh, huge, juicy and steam to perfection. 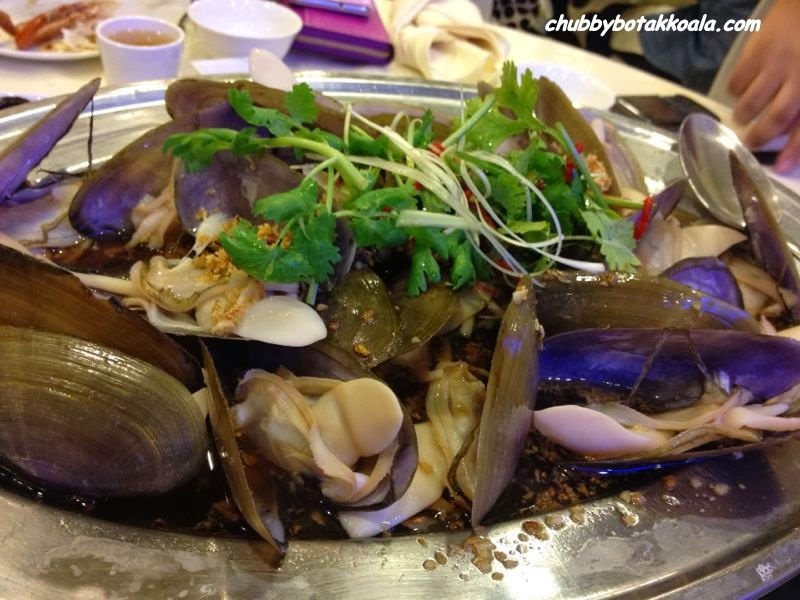 The fried garlic and soya sauce provided a slight salty taste that bring out the taste of the clams. The dish of the night! To balance the meal, we have Nai Bai with Three Eggs. The vegetables are fresh. The sauce is smooth and creamy with a hint of infused stock. 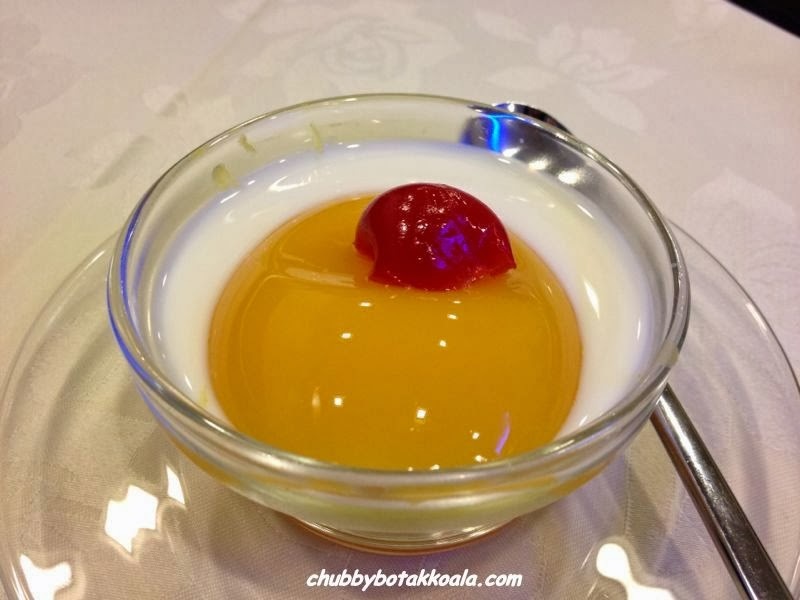 For desserts, the manager gave us Mango Pudding, free of charge. It is smooth with a well balance sweetness. The use of fresh milk instead of evaporated milk, make this dessert provide a good ending to the heavy meal of the night. This new establishment is smaller than the previous shop. Big table are limited, while to maximise space, they have a 'cafe built-in' style of table and chairs for table for 4 or less. The setting is actually simple and clean. Service is good considering the limited service staff. The manager is friendly and full of smile. Please take note that seating is by reservation only. Overall, I am glad that Ming Kee has managed maintained their standard of food, serving good quality seafood with a more reasonable price compare to the old establishment. I wish they are able to get back the 'Omph' factor in Triple Cook Crab Bee Hoon. Cheers!! The pictures for this review is only available due to the generosity of Miss Cora Seah. Little Devil BFF that saves the day as Chubby Botak Koala, left all his camera memory cards at home. Lesson learned, to check your equipment before you go for a food review. Thank you very much for the treat as well.